Pepsico, Coca-Cola, NestleUSA, General Mills … you probably enjoy their products at some point each day, from the cereal you eat to the water and soda you drink. On the package of each of these products, you can find nutritional information and a list of ingredients, but what the labels don’t tell you is whether the ingredients are from genetically modified organisms. And, that’s exactly the way these mammoth companies like it. Companies like these are now entangled in a lawsuit filed by Washington state Attorney General Bob Ferguson. According to a press release on the state’s attorney general website, the Grocery Manufacturers Association (GMA), which is made up of more than 300 food, beverage and consumer product companies, is being sued for illegally shielding the funders of recent donations to a campaign against a bill yet to be passed in Washington. 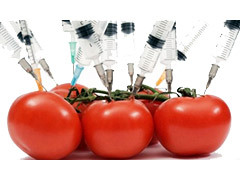 The bill, I-522, would require genetically-engineered foods to be labeled as such. “Truly fair elections demand all sides follow the rules by disclosing who their donors are and how much they are spending to advocate their views,” Ferguson said. GMA was the largest donor to the “No on I-522” campaign, giving more than $7 million to help prevent the bill from going into effect. In response to Ferguson’s allegations, the GMA has provided the names of those who contributed to the campaign donations, which include huge players like Pepsico, Coca-Cola, NestleUSA, The Hershey Company, General Mills, Kellogg Co., Bimbo Bakeries, Del Monte and Campbell Soup. The list goes on and is available on the Public Disclosure Commission’s website. The fact that this lawsuit is real makes you wonder why so many big companies tried to hide the fact that they are paying big dollars to fight the labeling of genetically engineered products. Scarier still, if this bill were passed everywhere, just how much of what’s sitting in our pantries, refrigerators and freezers would actually have the label “this product contains genetically-engineered ingredients”? Posted on October 31st under Global Ecology.